The photos in this book were taken from 1999 to 2009, while photographer Stuart Brafman was exploring remote corners of the developing world. While visiting major cities, his eye caught abstract images that are small parts of a large structure or different angles of existing art forms. Often times he was drawn to images of people and objects. His wife, Lotta, often called his attention to images that might have been overlooked. 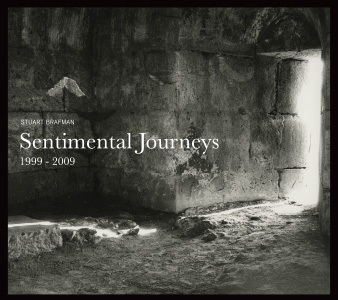 This book is a remembrance for the Brafman family, present and future generations. Stuart wants them to enjoy perusing the photos as much as he enjoyed taking them and to know that traveling with a loving partner who shares your quest for broader horizons is not just a trip.It is a sentimental journey.